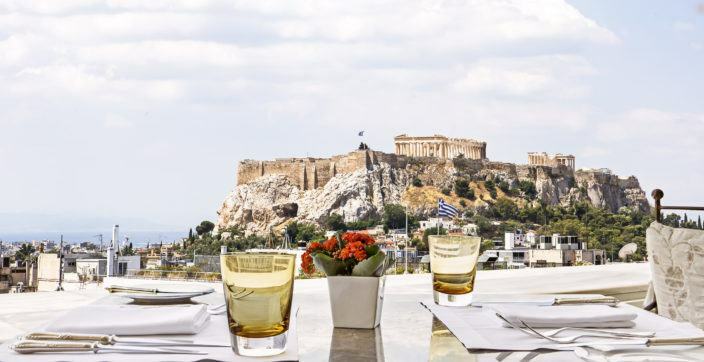 In a city as vibrant as Athens, there is not usually time to discover the perfect spots to unwind and enjoy some of the most enchanting views the city can provide. 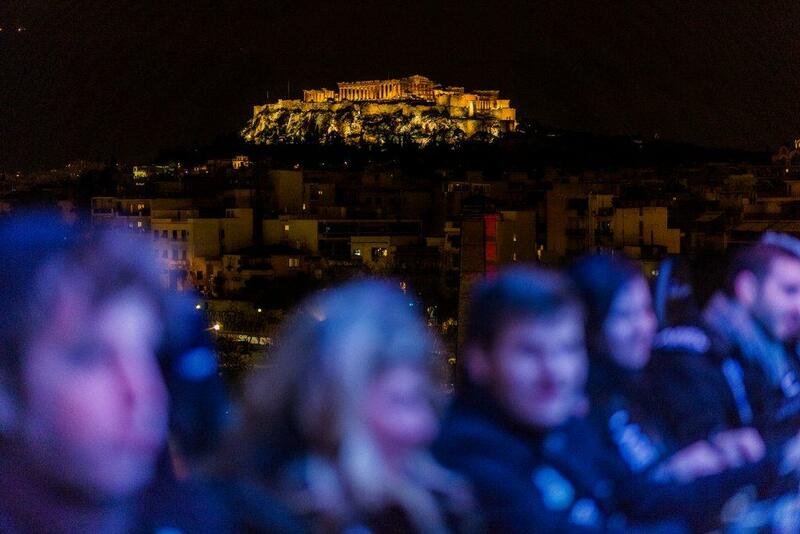 One of the best ways to spare time and learn about all the secret and no so secret views in the heart of Athens, is to ask the locals, who can offer you information about the essential places to visit. If you are lucky to be staying at Hotel Grande Bretagne, a Luxury Collection Hotel or King George Hotel, a Luxury Collection Hotel, the exceptionally well-informed Concierges can offer you all insights about the best city spots, to satisfy your every need. 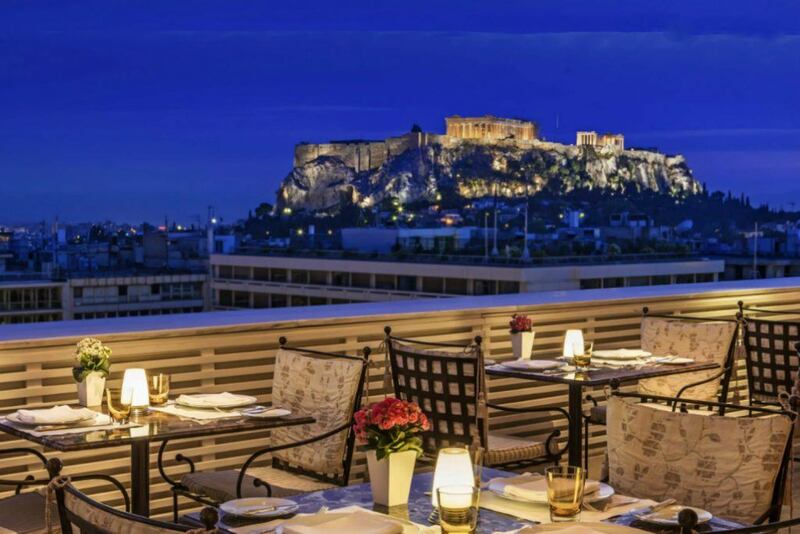 From Tudor Hall Restaurant, located on the 7th floor of King George Hotel, you will admire Athens’ grandeur at its best. 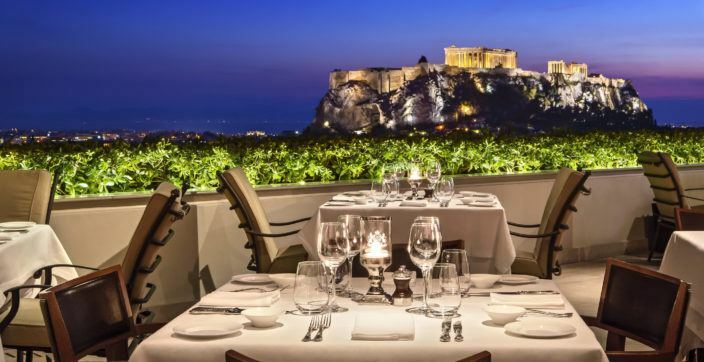 An excellent choice if you want to enjoy Modern Greek cuisine in a neo-classical décor, with the majestic sight of the Parthenon on Acropolis Hill, the most renowned Greek landmark. 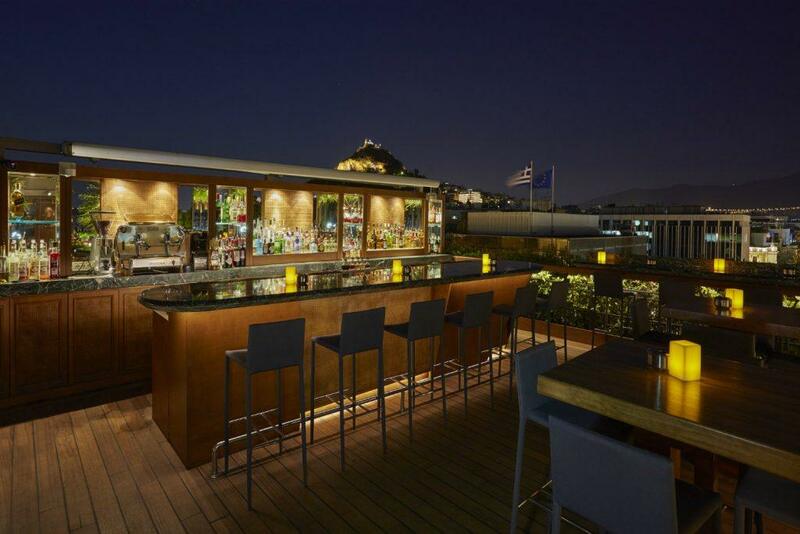 If you are planning the perfect romantic evening, you should also visit the awarded GB Roof Garden Restaurant and Bar 8, to taste new Mediterranean cuisine and well-crafted drinks, with uninterrupted views of the Acropolis, Lycabettus Hill and the Parliament. The most idyllic time is when the night falls and city lights come on; when the cosmopolitan aura becomes apparent all over the urban, vivid scenery. 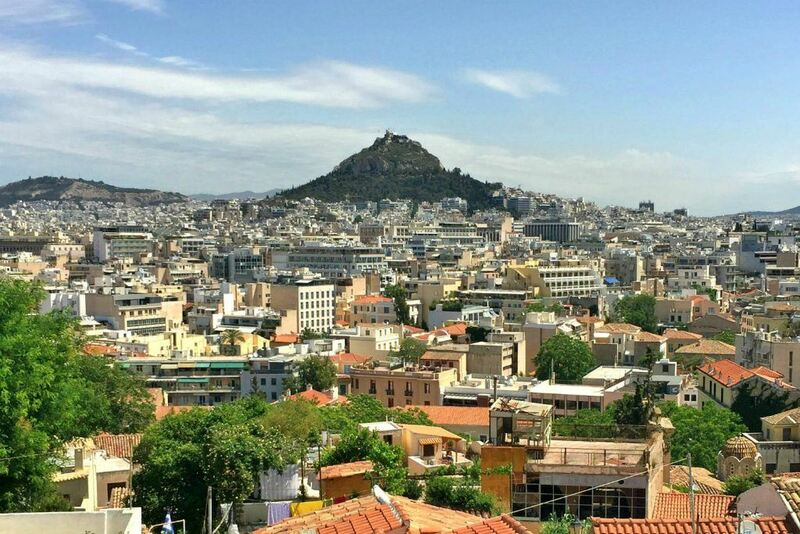 If you feel like walking and exploring the historic center of Athens, you may follow the labyrinthine paths of Plaka and the picturesque neighborhood of Anafiotika, which are clustered around the northern and eastern slopes of the Acropolis. 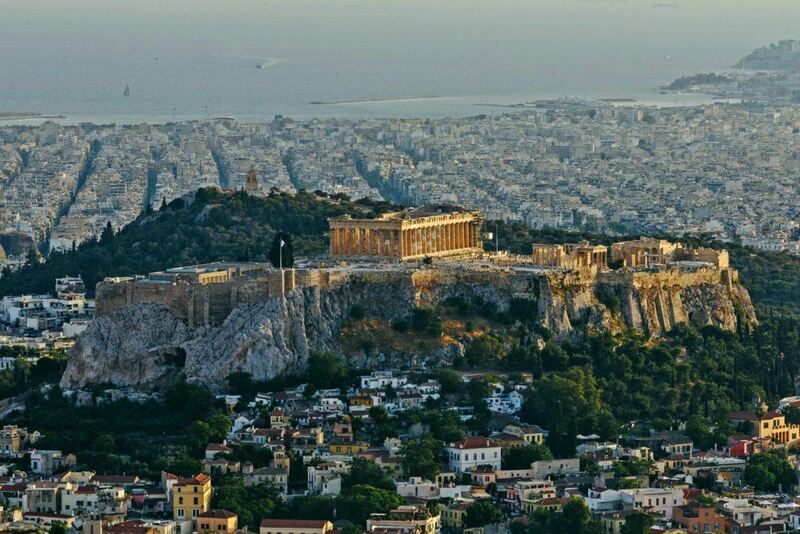 The temple of Parthenon stands just above the residential area, on an emblematic rock, where you can climb and admire the breathtaking view of the whole city of Athens, which looks exceptionally beautiful when the sun sets. Just across the Acropolis, you can see three small consecutive hills with hidden paths that constitute Philopappou Hill. This is a walk for the adventurous ones, who might want to get away from the city center and enjoy the captivating green scenery. By following the route above the area of Kolonaki, you will find Mount Lycabettus, a hill with panoramic view of the city, as it reaches the sea and the islands of the Saronic Gulf. Lycabettus can be ascended by a funicular railway, which climbs the hill from a lower point at Kolonaki and adds one more entertaining element to the experience. Keeping the best for last, it is almost time for the third annual Dinner in the Sky. Hosted by Hotel Grande Bretagne, it gives the opportunity to some lucky SPG members, of dining over 50 meters above city’s ground. 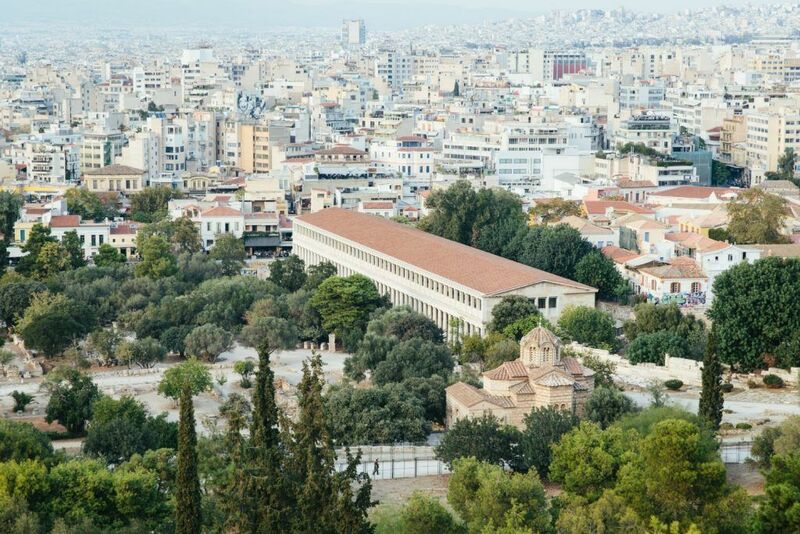 This fine dining experience, especially designed by the executive chef of the Hotel Grande Bretagne, will take place at the Technopolis industrial museum in Gazi, one of the most lively neighborhoods of Athens, providing not only a rare view of the cityscape, but also some exquisite tastes for the mouth. Bid HERE until May 22nd to live this unique experience.